Item sold in auction: Internet Auction # 780. 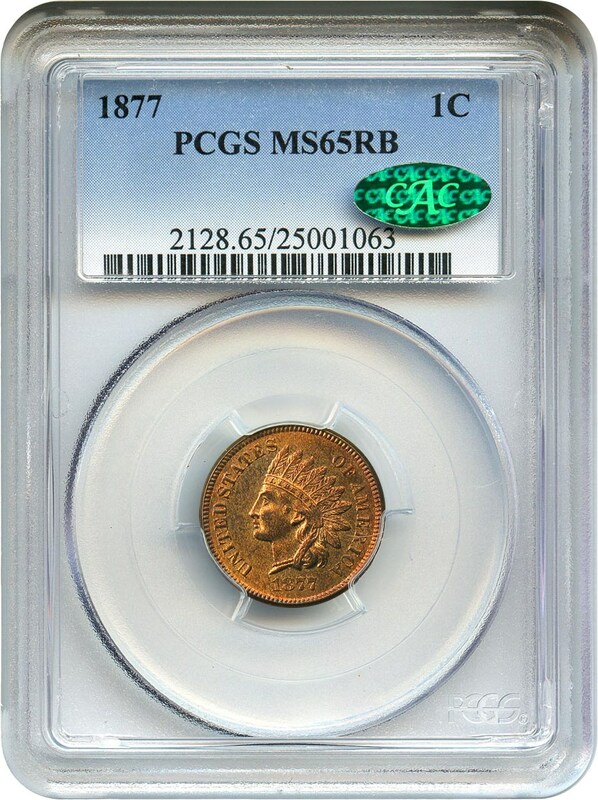 Closed On: Sunday, December 1, 2013 3:14 PM. 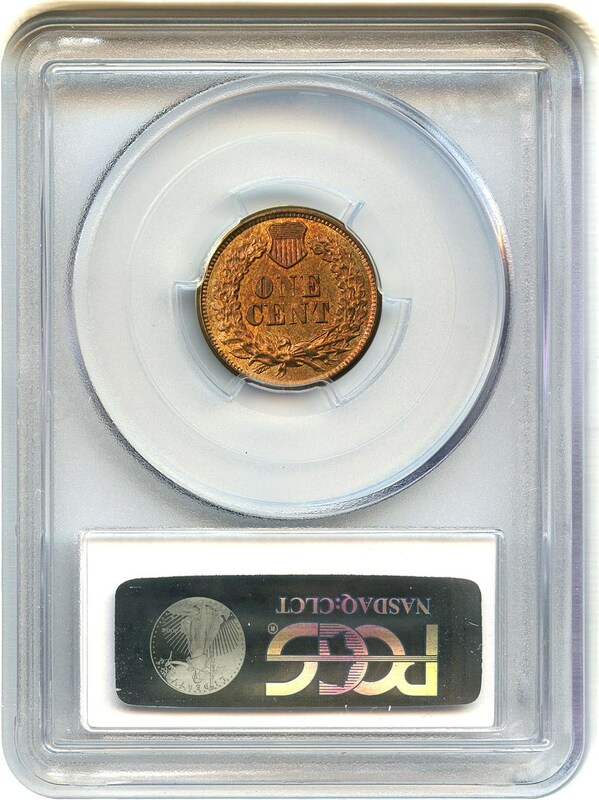 Displaying more red than brown on the surfaces, this gem 1877 is one of the nicest we've handled in this grade. Very well struck and accurately graded. 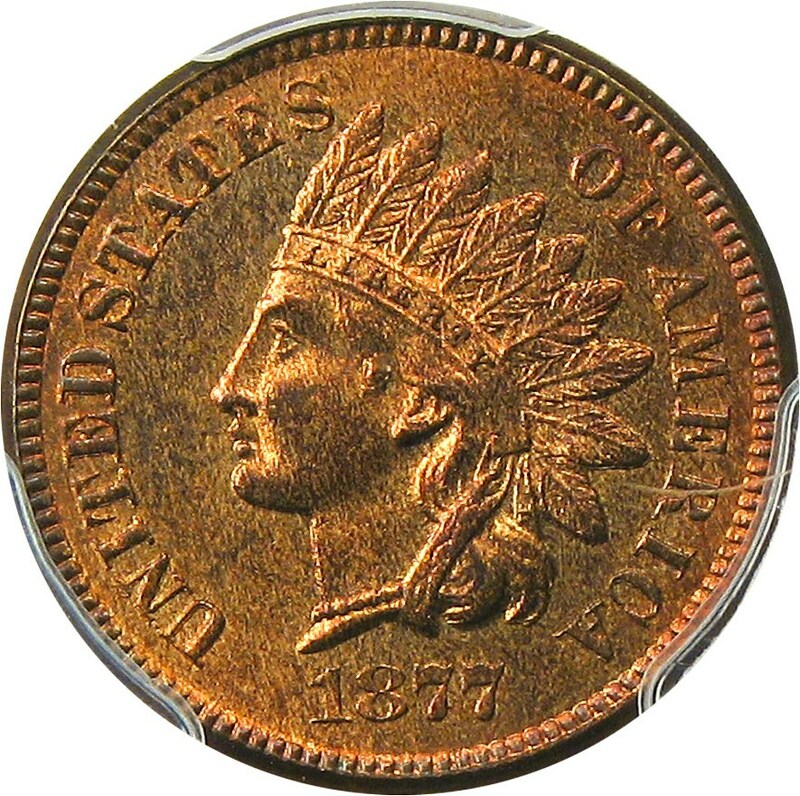 A great coin to put away when you collect Indian cents, or just key dates. 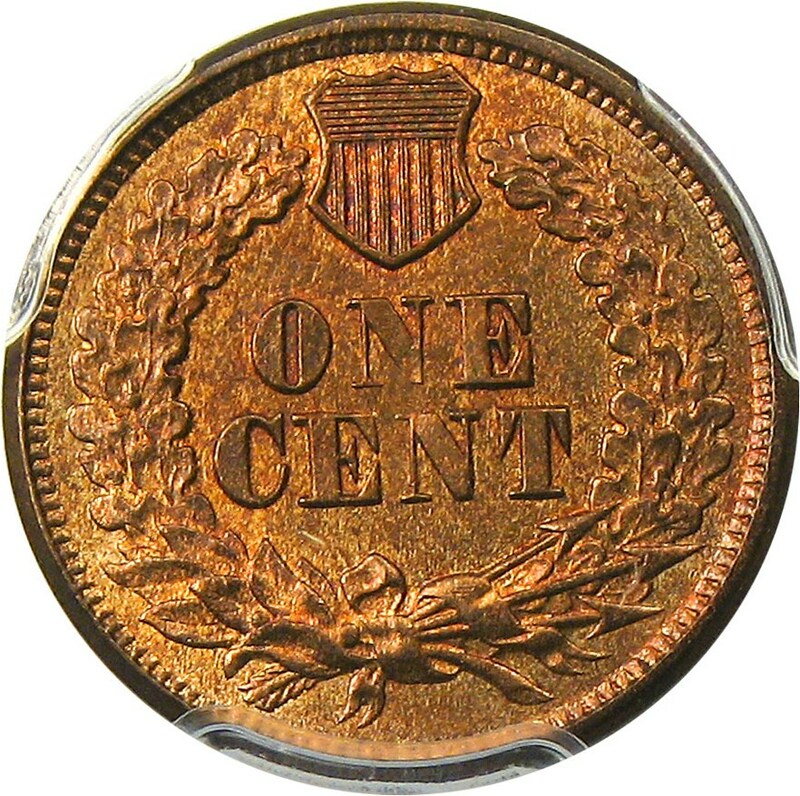 The 1877 is key to the Indian cent set and desired by nearly all collectors of US coins. CAC approved for quality and eye appeal.